Oman Air is set to hold walk-in interviews for new cabin crew to join the country’s flag carrier. The Open Day will be held on the 6th February 2019 in Muscat – unfortunately, Oman Air is only recruiting female cabin crew on this occasion. The airline currently operates a fleet of 50 aircraft including brand new Boeing 787 Dreamliner’s and single-aisle 737MAX and flies to a variety of destination across the Middle East and India, as well as flagship cities including London and Frankfurt. Founded in 1993, Oman Air has become a vital part of the country’s strategic tourism vision. The airline has rapidly expanded but growth has been on a much smaller scale than other carriers in the region such as Etihad and Qatar Airways. By its own admission, the company’s history has not always been smooth but the airline continues to win awards with a stellar service and seems to be forging a path for itself in a very competitive market. At least 157cm tall with weight in proportion to height. Able to speak and write in both English and Arabic. Graduated from college or secondary school in the past two years. Medically fit and able to swim unaided. Expat candidates must be aged between 21-35 years old and Omani candidates must be aged between 18-35 years old. Oman Air is looking for candidates with great interpersonal and communication skills, as well as good team workers and candidates who are well organised. The Open Day will be held at the Golden Tulip Hotel, Exhibition Street, Muscat 111, Oman. Candidates should arrive between 08:00am to 10:00am for registration and be prepared to spend the whole day at the venue depending on how far you progress in the selection process. You’ll need to take a copy of your updated CV, as well as copies of your ID card/Passport, and educational certificates. Finally, you’ll also need a full-length photograph and four passport sized photos (with a light blue background) – Both should be in full business attire. At this time, Oman Air is not accepting online applications for this position. 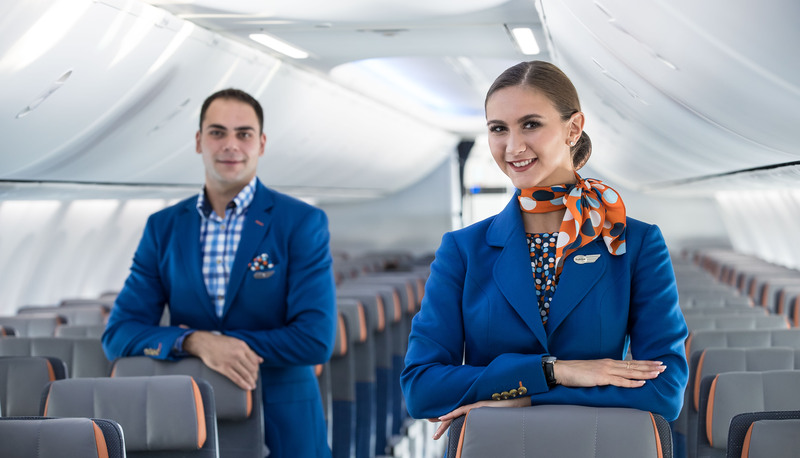 In the past, the airline has also held recruitment days in India, Russia and Ukraine and it’s likely that further international opportunities will become available later this year.